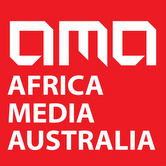 African Professionals of Australia is working in collaboration with Africa Media Australia and Afro Helpline to establish the largest directory of African professionals and businesses in Victoria. The idea to build the database of African professionals and businesses is not new, but not much investment has been put into it so far. Clyde Sharady, APA’s chairperson in Australia who is coordinating the project says: ” We see the directory as a useful tool to help encourage more economic/business activities between Africans. This will ensure we can keep the money within our communities by buying African, contracting Africans to meet various needs that require professional services such as plumber, electrician, accountant etc…”. APA is encouraging all Victorian-Africans to help with the data collection to ensure we can capture as much information as possible showing professionals and businesses in Victoria. Please take 3 minutes to fill a survey and provide information about yourself and other Africans professionals in your network. By “professional” we mean anyone engaged or qualified in a profession, including blue collar workers.